I'd really wanted to include a GT2 RS in my portfolio for a while and tracking one down can be somewhat difficult. 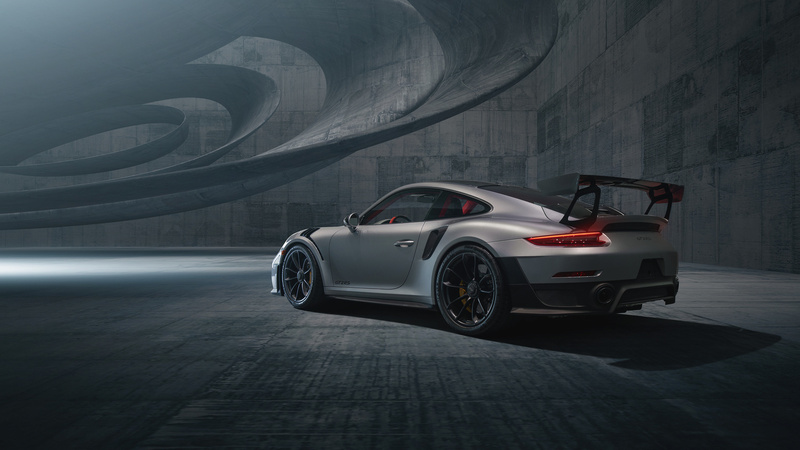 Realising I had recently taken a couple of shots of one at my local Porsche dealership, I decided to set out building a composite with one of the images. Originally shot indoors with the available light and using an Adobe stock image for the background. I'd chosen this particular background for the overlapping circular shapes feeling that they bear some resemblance to the overlapping gauge clusters/dashboards in some of the later Porsches (water-cooled and on). Ford's Rolex 24 at Daytona Victory!